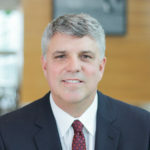 Joe provides leadership for several divisions and departments, including Subrogation and Workers’ Compensation; Medical and Commercial COB Audit; and the Data Mining Group. Joe is an accomplished and visionary leader with established achievements in strategic planning and operational execution. Joe joined The Rawlings Group as Senior Vice President of COB Audit in 2011, and soon was promoted to President of the division. Under Joe’s direction, the division experienced unprecedented growth. As a result of his exemplary performance in aligning services to deliver outstanding recovery results, Joe was promoted to COO in 2014.